Offers 1-7 lpm flow equivalency settings. Delivers fixed pulses of oxygen within the first 150 milliseconds of inspiration. Utilizes a standard, single-lumen cannula. Clinically-determined delivery pattern and bolus size to ensure patient saturation up to 40 breaths per minute. Weighs 9.9 ounces, offering extended ambulation with minimum weight and bulk. Delivers a greater than 3 to 1 increase in usage time over continuous flow. Allows the use of a standard single-lumen cannula. Sensitivity and delivery time are comparable to or better than most electronic oxygen conservers. Weighs only 14.8* ounces and offers extended ambulation with minimum weight and bulk. Delivers a consistent, clinically-proven bolus of oxygen, regardless of breath rate. Reliability backed by a 2-year warranty. The EasyPulse5 is only 4.75 inches lone and weighs a mere 10.4 ounces making it the smallest and lightest conserving regulator available. It sets up just like a standard regulator and its size and weight make a perfect ambulatory package. The plastic T-Handle is ergonomically correct for easy attachment to the cylinder by the patient. At less than 5 lb (2.3 kg), FreeStyle by AirSep is the only portable oxygen concentrator tailored specifically for those patients who know no boundaries. Bold and provocative like its name suggests, FreeStyle captures the heart of what it means to live the good life — without limitation. This portable concentrator offers the same weight advantage of a contents-based system, yet provides an unlimited supply of oxygen. FreeStyle's miniature batteries all fit inconspicuously in an exclusively-designed accompanying AirBelt. This battery belt offers not only function but fashion for those who won't leave home without the assurance of additional hours on FreeStyle. And AirBelt is so lightweight and ergonomically correct that one can easily forget that it's being worn. FreeStyle is offered as an ensemble consisting of the portable concentrator, shoulder tote, and matching leather AirBelt. Invacare HomeFill II allows patients or care givers to gain more freedom and independence. 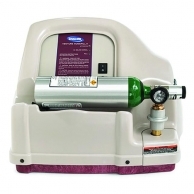 Filling your own portable oxygen cylinders has never been easier. AirSep's LifeStyle Portable Oxygen Concentrator is the most compact, lightweight concentrator available anywhere. At less than 10 lbs (4.5 kg), this unit was designed to accommodate the traveling, working, and highly active oxygen patient. Operating as a pulse flow device, and combining the technologies of both an oxygen concentrator and an oxygen conserver in one unit, LifeStyle gives supplemental oxygen users the ability the world over to maximize their mobility in ways they never thought possible. LifeStyle operates on multiple power sources: on AC power (household electric), DC automobile power, or from a rechargeable battery. The battery recharges while the unit is in operation on AC or DC options. 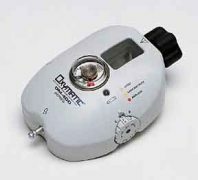 Provides every-breath or alternate-breath delivery with a built-in regulator. Offers 1-6 lpm flow equivalency settings to service a broad range of patients. Delivers fixed pulse of oxygen within the first 200 milliseconds of inspiration. Easy access to the battery compartment. 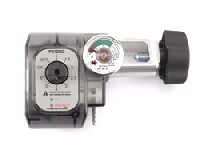 Featuring PulseDose® technology, the PD1000 is a smaller, more compact and attractive unit. With an extremely lightweight design and true 3:1 savings, the PD1000 delivers high efficiency and improved clinical benefits. It features quiet operation and has been found to be less irritating to patients. An oxygen conserver is a device that delivers oxygen to the patient only on inhalation rather than continuous flow, as through conventional oxygen delivery. This provides advantages to the patient in allowing them to carry smaller tanks that last longer. It also eliminates the need for an E cylinder and cart for all but the most oxygen-dependent patients, while at the same time reducing the provider's cost in oxygen refilling and home delivery. Both electronic and pneumatic conservers deliver oxygen on inhalation only; however, their methods in doing so are quite different. Electronic conservers operate on a battery and use electronic circuitry to measure a dose of oxygen that is "pulsed" to the patient at the beginning of inhalation. 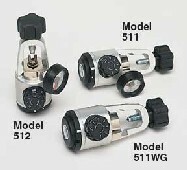 Pneumatic devices do not require batteries and are strictly mechanical. Most deliver oxygen through the entire inhalation cycle. CHAD's electronic conservers provide a 5:1 savings ratio, while most pneumatics average about 2:1. What does a 5:1 savings vs. a 2:1 savings mean? It means that your cylinders will last five times longer than continuous flow when utilizing a CHAD electronic conserver, as compared to only twice as long as with a pneumatic conserver. The Sequal Eclipse Portable Oxygen Concentrator - is FAA approved for use on airplanes! It provides continuous flow oxygen up to 3 liters a minute and offers pulse-dose settings to 6! This makes it ideal to sleep with when traveling (especially if you have CPAP) and to use all the time at home (to save electricity). This great little unit plugs directly into your car's 12v adapter or runs on a built-in, rechargeable power-pak that provides hours of battery power. And of course, it plugs into any AC current in the world. Extremely quiet operation - you can barely even tell it's on!